Not sure if answered in a while, but this this mod compatible with Doggy Talents? I saw that it sorta was last year, but I'm curious about the current functionality. Any chance of compatibility with Doggy Talents? How do you dye the leather wolf armor? Would you like to make Ocelot Armor and Storage too? I ALSO would appreciate making this compatible with Sophisticated Wolves. The two combined would be truly advantageous. Oh man.... The whole time I was looking at this, I was thinking "Yes! I want this, this is so cool!" ....only to have my hopes and dreams crushed at the end. Hmmm, wonder if it works with Sophisticated Wolves. Will have to give that a go when I get in from work. Nice work! 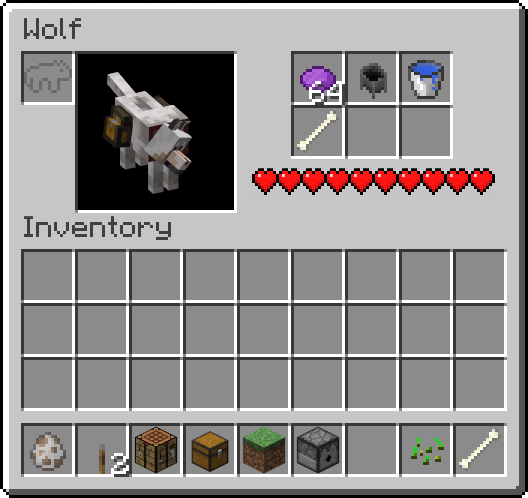 If you head on over to the CurseForge page for this mod, I've released an alpha version for 1.10.2 with contributions courtesy of gsbaoge over on GitHub that does, in fact, allow armor to be applied to Sophisticated Wolves! This is an alpha version, of course, so there may be issues with it. Be sure to back up your worlds beforehand. Your wolves should be safe with the update, but err on the safe side! If you wish to contribute towards testing this alpha release, please enter any issues you encounter on the project's issue tracker page. Thanks in advance for your assistance! If you don't want to test out an alpha version of the mod, I plan to merge the changes up to the latest supported Minecraft version and release this enhancement at some point in the next couple of weeks. However, I don't believe that this change can be applied to the 1.7.10 version of the mod. 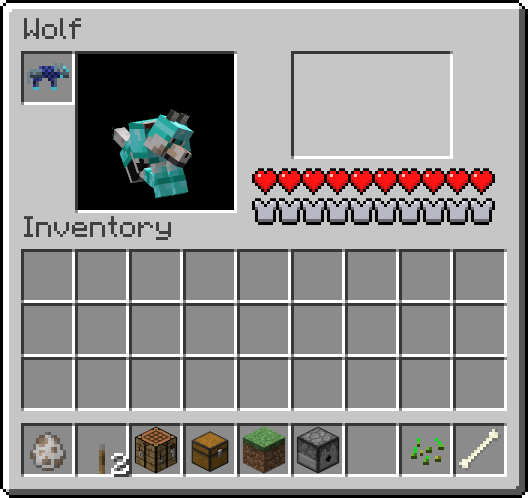 If you are still on 1.7.10, Sophisticated Wolves compatibility may take a while longer. Thanks for checking out this mod, and may your wolves stay safe! By merge up, does that mean it will be applied to the other versions of minecraft that you've released this mod for? Mostly. It will be available from 1.10.2 up to 1.11.2 and onward. 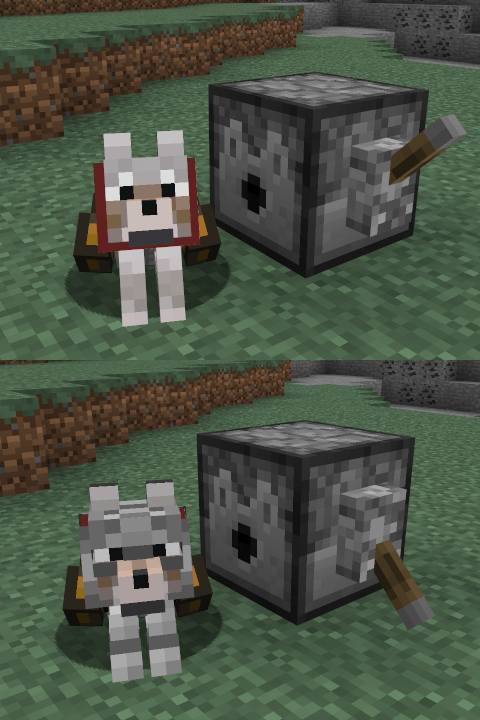 Unfortunately, I don't believe that the exact change made to the 1.10.2 version can be applied to the 1.7.10 version of the mod due to changes in Forge, so Sophisticated Wolves compatibility in that version will likely require some further work. 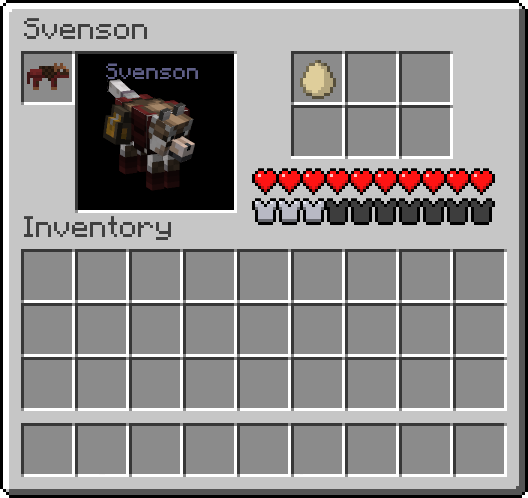 There should be a config option that disables the crafting recipes for wolf armor and instead make them spawn in chests. Wow. Never seen a mod like this. The Ideea to put armors on wolves and chest is great.